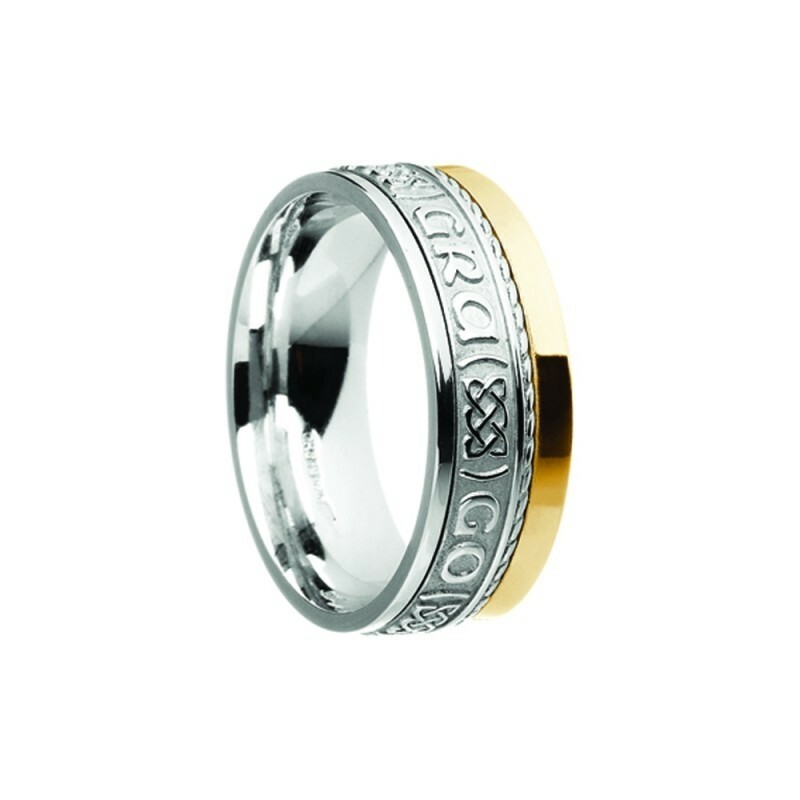 A contemporary version of Boru Jewelry's original Grá Go Deo, Love Forever Irish ring. This stunning Irish wedding band is comfort fit and available in a variety of metal types and colour combinations. Part of the Gealltanas Siorai (Eternal Promise) Collection, these Irish promise rings epitomise a bond between a loved one, whether it be by marriage, friendship or other some other form of bond.